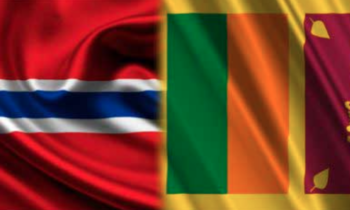 As is tradition, Sri Lanka’s tourist destination was present at the International Tourism Fair which is held every year for three days at the fairgrounds of Fornebu, Oslo, the Norwegian capital. 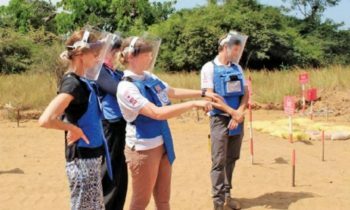 From January 11 through the 13, officials from The Sri Lanka Embassy in Oslo and the Sri Lanka Tourism Promotion Bureau, were in charge of Sri Lanka’s informative stand and exchanged with the attending public and specialized personnel from travel agencies and entities, reported Media. Ambassador to Oslo Prof. Arusha Cooray visited the stand and confirmed the attendees’ interest in the Sri Lanka’s rich cultural heritage and unique facets to visitors. 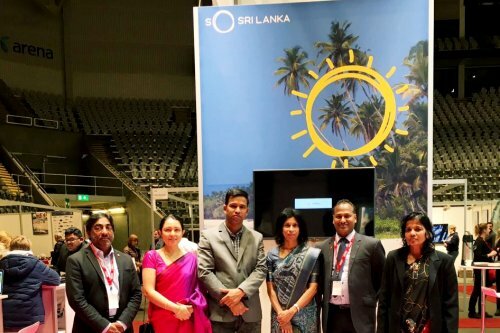 Mr. Rizwan Wadood from “Silver Tree”, Mr. Sugeeswara Dissanayake from “Ceylon Trails” and Mr. Arushan Lazarus from “Explore the Wonders” participated in and represented the Sri Lanka Travel Trade at the Fair, Sri Lankan Ministry of Foreign Affairs said. Children from the Sri Lankan expatriate community performed a dance item which demonstrated the vibrancy of Sri Lanka’s cultural traditions, which attracted a number of visitors to the Sri Lanka stall. TV 2 Nyhetskanalen (TV 2 News Channel) is a 24-hour Norwegian language television news interviewed Sri Lanka’s Ambassador to Oslo Prof. Arusha Cooray, and telecast the cultural performance by the children on 11 January 2019 giving wide publicity to the Sri Lanka Stand. Sri Lanka’s presence at the Fair contributes to strengthening ties with tour operators from the Scandinavian region, as well as the tourism operation from that market, whose interest in the Sri Lankan destination has gradually increased in recent years.